IT WAS CREATED BY Father Grégoire in 1794 as a “dépôt des inventions neuves et utiles” – a warehouse for new and useful inventions. 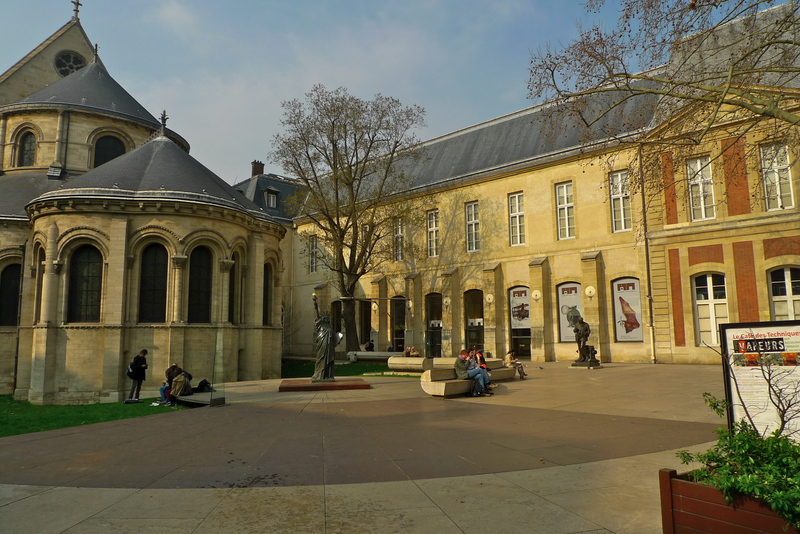 Housed in the former priory of Saint-Martin-des-Champs in rue Réaumur in the 3rd arrondissement, the Musée des Arts et Metier houses part of the collection of the Conservatoire National des Arts et Métiers. The museum has over 3,000 scientific and technical inventions on display ranging from an astrolabe dating from 1567, to the original Foucault’s pendulum, which demonstrates that the earth really does rotate, to a Cray 2 super computer and lots more. 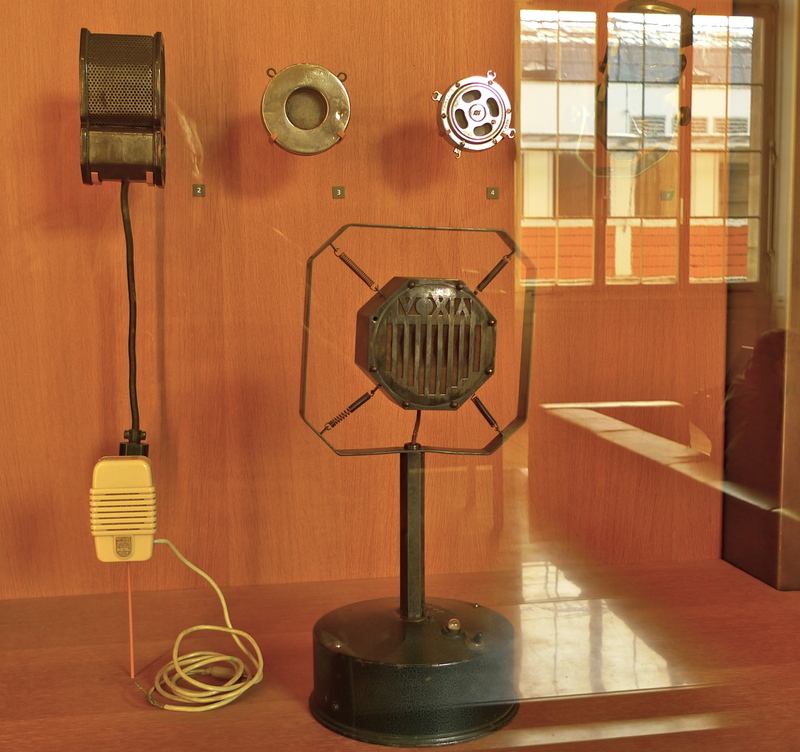 The museum is arranged in seven categories – Scientific Instruments, Materials, Construction, Communication, Energy, Mechanics and Transportation. Being a lover of sound, I am always particularly fascinated by the Communications gallery, which begins with the printing of the written word and continues through to a communications satellite. 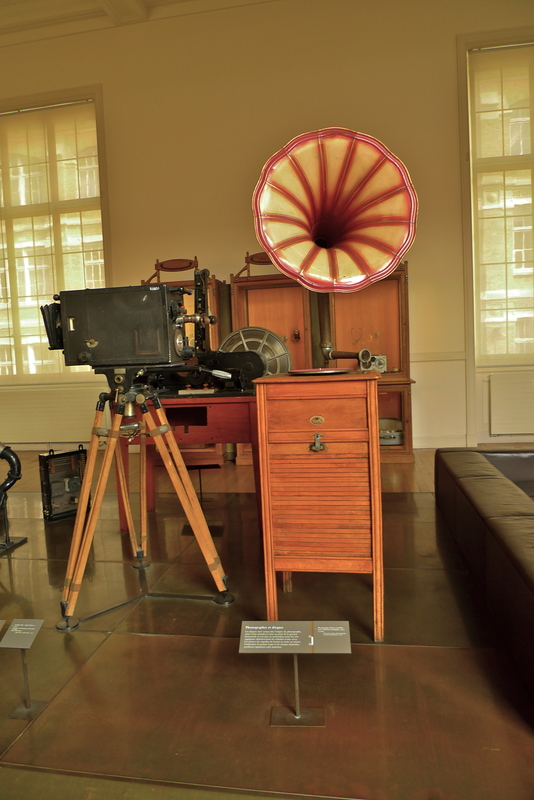 Sound and vision are featured with a collection of early telephones, early televisions, early film cameras and projectors together with early sound reproduction devices. 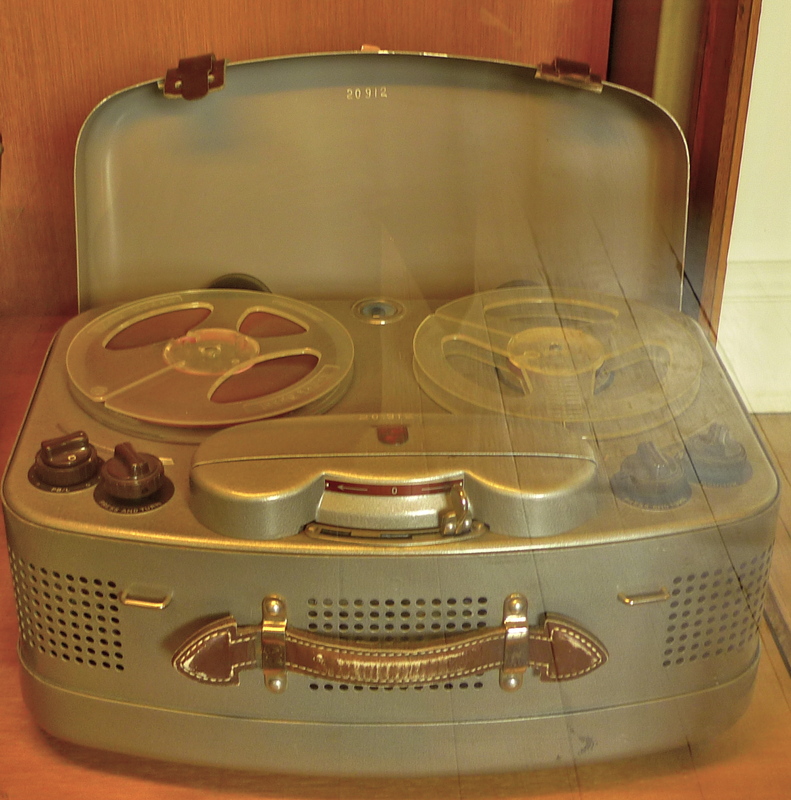 Tape recorders are represented but, this being a French museum, all the recorders are French – so no historic Nagras feature here unfortunately. The one shown above is from the early 1960’s. Those shown below are from the 1950’s. Photographing these objects behind glass in a bright, sunlit, room doesn’t show them at their best but even so, the pictures still excite me when I look at them. 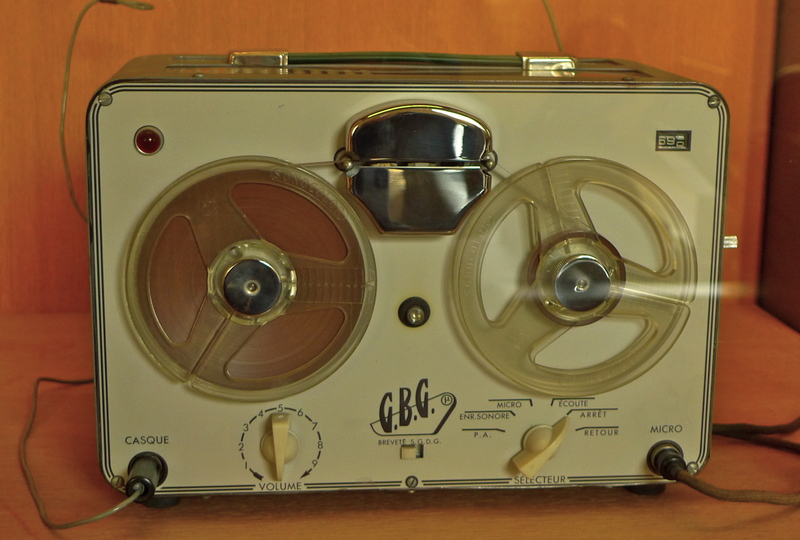 Of particular interest to me was this 1950’s magnetic wire recorder. 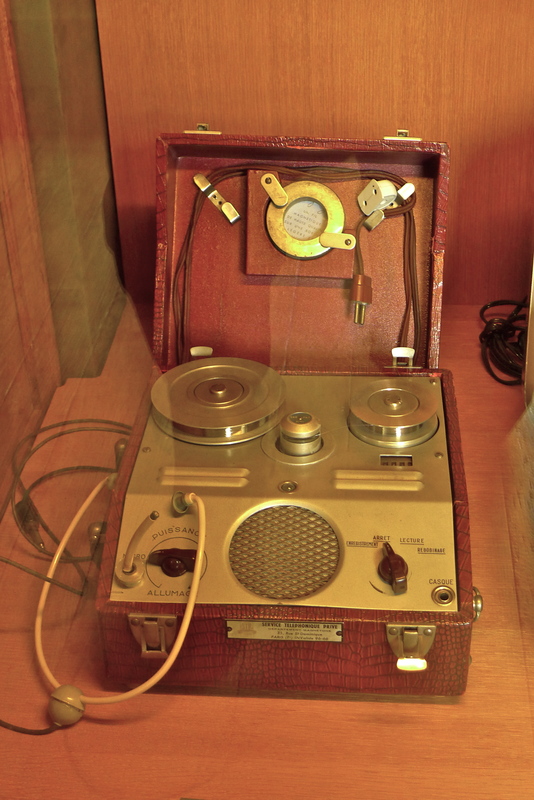 I can’t help wondering how many sounds these devices have recorded and what stories they could tell. One of the features of the Musée des Arts et Métiers that I enjoy is that there are always lots of wide-eyed children keen to explore, to learn and to have fun. In the Communications gallery a group were enjoying a magic lantern show – but if it’s magic you want, then the Théâtre des Automates is the place to be. The Théâtre des Automates is a side gallery in the museum full of musical clocks and automatons all exquisitely made and some very rare. While I was in there recently a demonstrator from the museum was explaining the exhibits to a group of children. Her enthusiasm was absolutely infectious. I certainly recommend a visit to this museum.